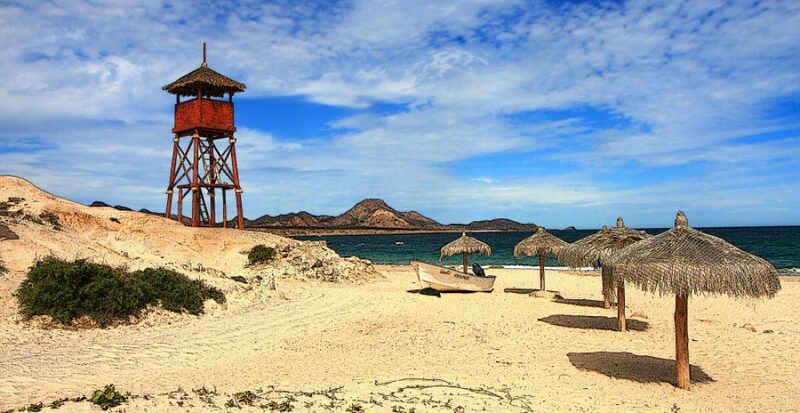 Along the shores of Banderas Bay, there are numerous beaches that are divided into three zones; north of town, in town, and south of town. 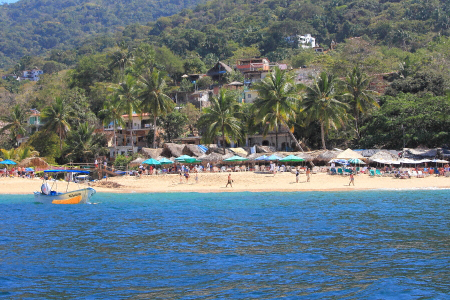 Four of the most popular beaches south of Puerto Vallarta Central include Mismaloya Beach, Boca Tomatlan, Las Animas and Quimixto. Mismaloya and Boca Tomatlan can be reached by car, bus, or taxi but Las Animas and Quimixto can only be reached by boat or by hiking thru long jungle trails from Boca Tomatlan. Mismaloya Beach is about 6 miles from the center of town and happens to be where ¨Night of the Iguana¨ starring Richard Burton was filmed in 1963 before the condo´s and hotel´s were constructed. More recently, much of the ¨The Predator¨starring Arnold Schwarzenegger was filmed in the jungle behind Mismaloya. Boca Tomatlan beach is about 10 miles from the center of town and is the last of the south shore beaches which can be reached by car. This beach lies at the the mouth of the Rio Horcones, so besides salt water there are fresh water pools for swimming, restaurants for other kinds of refreshment and water taxi´s for trips to the other beaches not accessible by car. 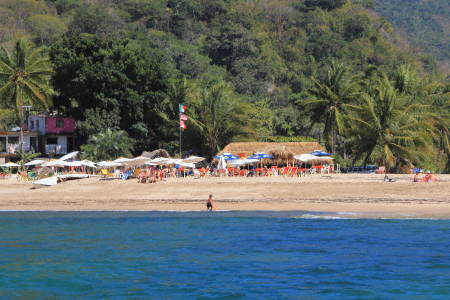 The boat ride from here to Las Animas or Quimixto is only a short distance and relatively inexpensive. At Las Animas, there is an adventure park with zip lines, rope bridges and climbing activities. The main attraction at Quimixto is a 30 meter high waterfall which feeds into a natural pool of pristine mountain water about 15 meters deep and can be reached by horseback or by hiking across several hills and 2 rivers. 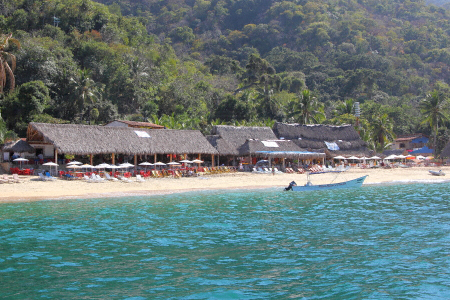 Both of these beaches offer a variety of restaurants and shops that sell locally made merchandise. 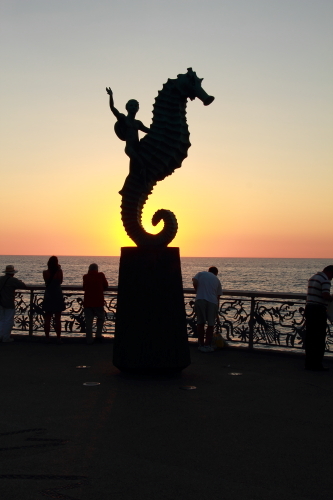 Vallarta is located on the pacific coast of Mexico at the foot of the Sierra Madre mountains. It is an alluring blend of modern sophistication and old world character with many luxury resorts fronted by beaches and the warm waters of Bandaras Bay. 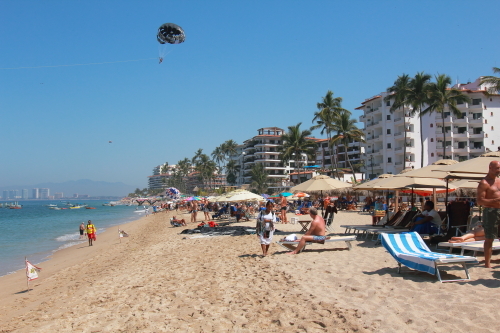 Despite the presence of luxury hotels and condominiums, Puerto Vallarta remains a very casual resort where shorts and t-shirts are standard attire. 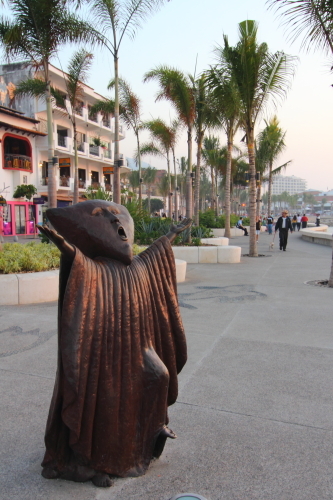 Although Vallarta started attracting tourist in the 1940´s, it was the filming of ¨The Night of the Iguana¨, starring Richard Burton in 1963 that eventually put Puerto Vallarta on the international tourist map to stay. 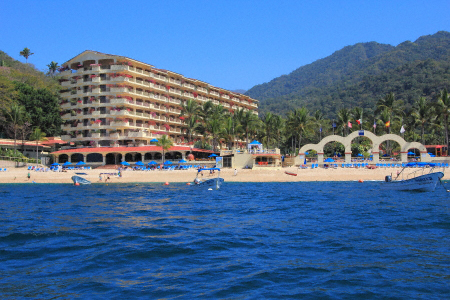 With the development of the Marina Vallarta Complex in the mid 90´s, the city has also become a major port of call for cruise lines. As a result, American discount chains such as Walmart and Costco have set up shop to accommodate the growing population of ex-pats and tourist that come by land or sea. 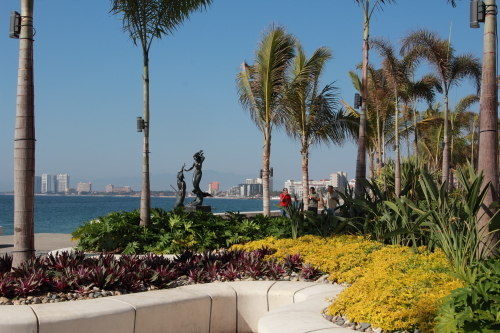 Since Banderas Bay is protected by its shape and surrounding geography, the water remains calm and clear most of the time. So, conditions are ideal for many water sports such as boating, deep sea fishing, snorkeling and parasailing. Other popular recreational opportunities in the area include golf, tennis and a variety of eco-tours into the Sierra Madre mountains for the more adventurous.